Let us honor the holy martyr Barbara, for as a sparrow she escaped the snares of the enemy, and destroyed them through the help and defense of the Cross. We invite you to come and experience early Christian worship, in a modern setting. 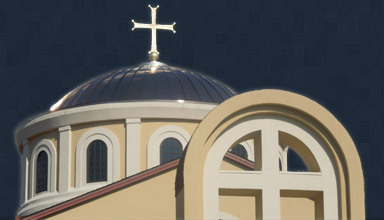 We are a Greek (Eastern) Orthodox parish, part of the oldest Christian tradition, dating to 33 A.D., the day of Pentecost. We trace our roots back to the Apostles and their teachings. We hold fast to the moral, theological and liturgical traditions of the Early Christian Church. Initially established by men and women of Greek descent, St. Barbara today reflects the American experience and is comprised of families representing multiple ethnicities. Our services are in Greek and English. We sing mostly in Greek. For many, Greek is a reminder of their ethnic roots - but it should also be a reminder of the language of the New Testament, the language used by the Apostle Paul to preach and to write five letters to the Churches established in Corinth, Philippi and Thessalonica that are today books of the Bible (Epistles). We use English because, true to the actions of the Holy Apostles who employed “Koine” Greek, the “common” language, to spread the message of our Lord Jesus Christ to all, English is the common language of our modern American lives. Are you a newcomer to the area? Visiting? Studying at a local college or University? 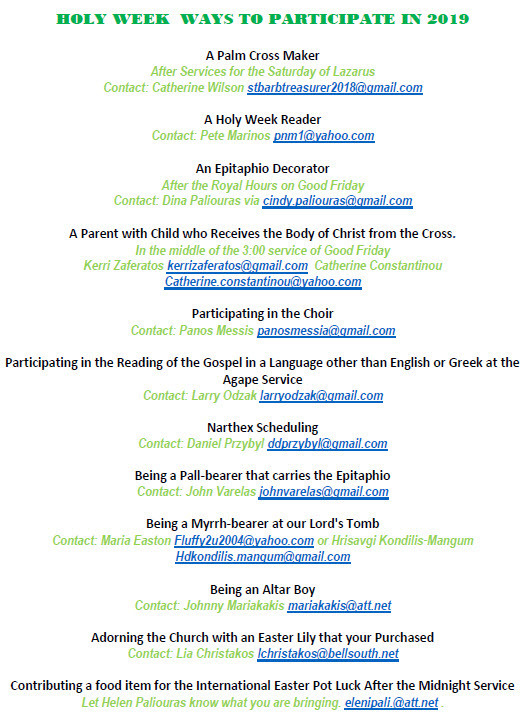 Curious about Orthodox Christianity? You are always welcome at St. Barbara. While it is our hope that this website will help you learn more about our parish and our Orthodox Christian faith, we confess, we hope - above all else - that you will personally come worship with us. Please feel free to visit St. Barbara and pray with us on any given Sunday. You will discover an ancient yet dynamic faith and perhaps even a spiritual home where you can plant roots to deepen your relationship with Christ in the Holy Spirit. OCF - UNC: Click here for more info!